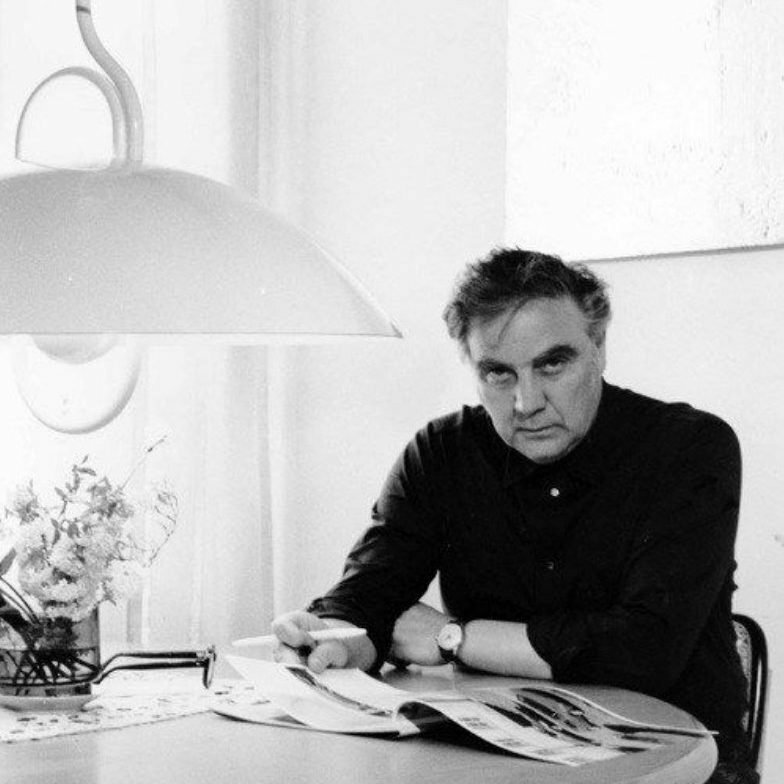 Born in Lucca in the wake of World War I, Martinelli studied at the Institute of Fine Arts in Florence with aspirations to become a scenographer. 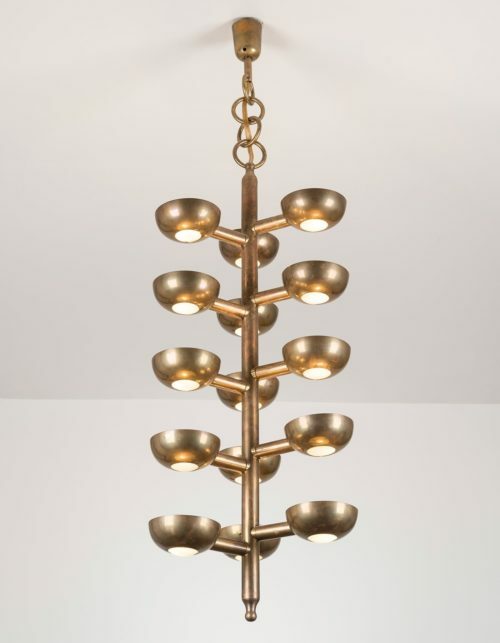 Following his studies, however, Martinelli began assisting in his father’s (Plinio) lighting business, where he used his study of theatrical set designs and lighting to contribute lighting fixtures to a variety of interiors. 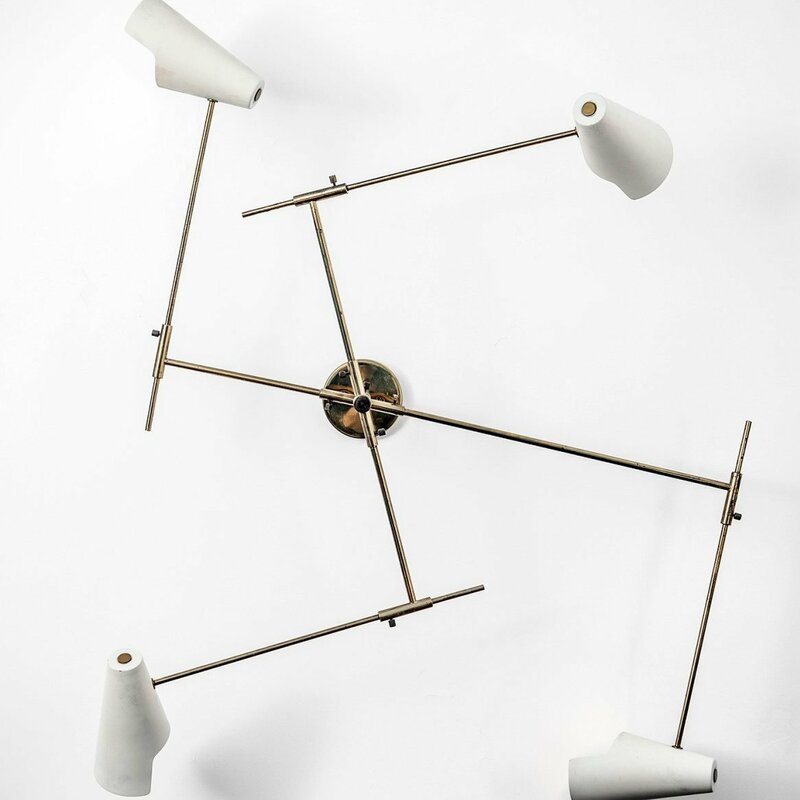 His ongoing projects for spaces ranged from private homes to popular restaurants and encouraged him to establish a small studio in a basement located in Piazza Bernardini in Lucca, from which he soon experienced high demand for his lighting creations. 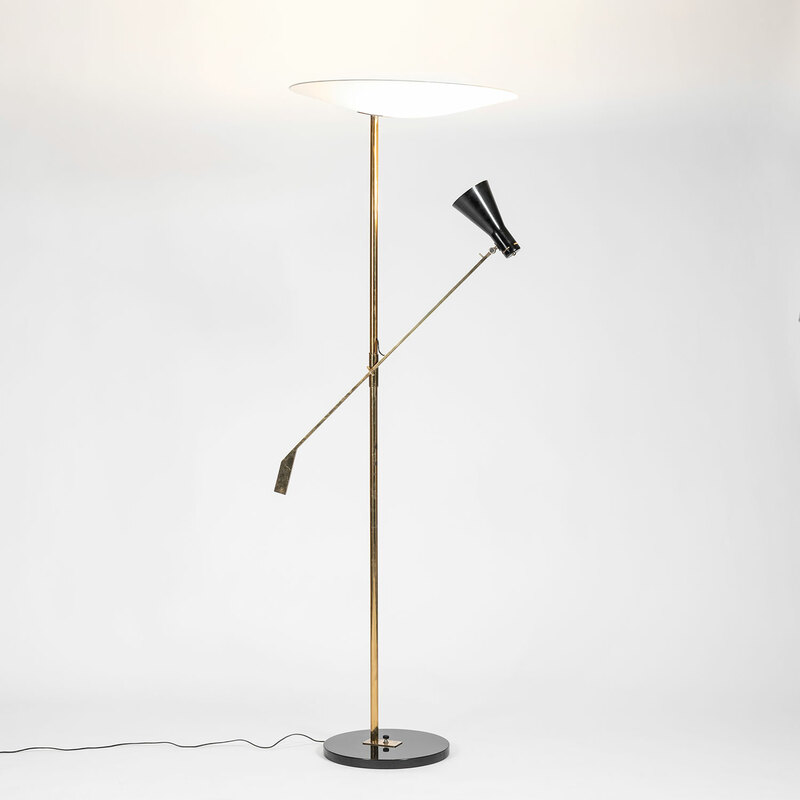 This early success spurred him to officially establish his own company, Martinelli Luce, in the early 1950s. 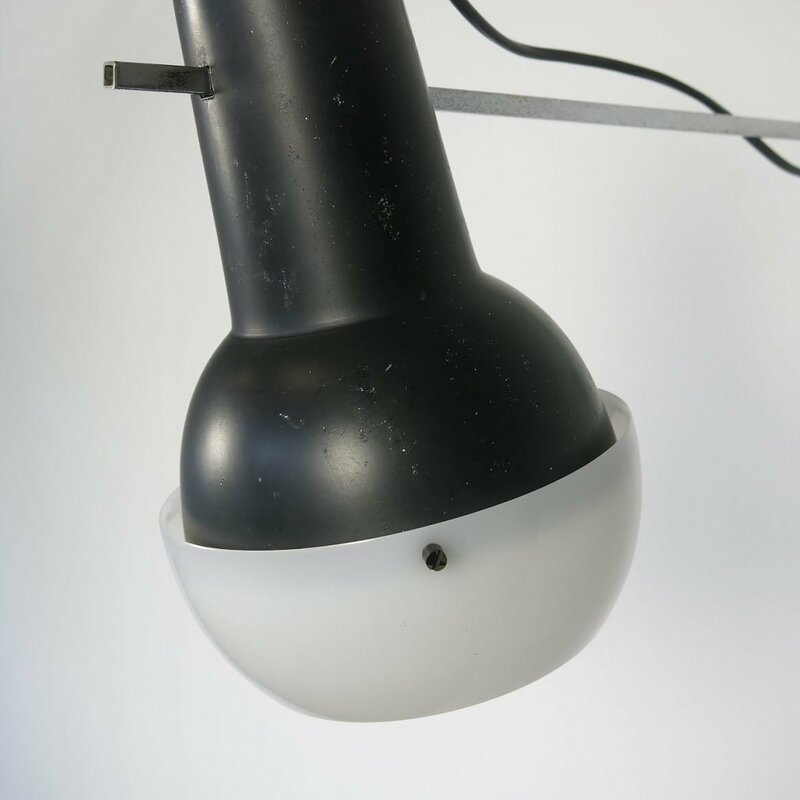 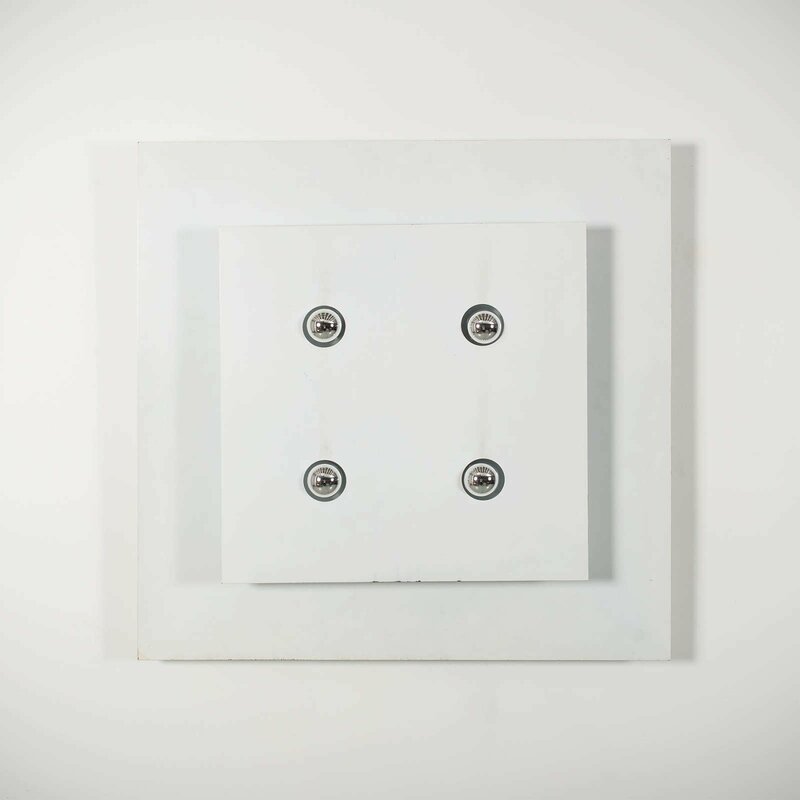 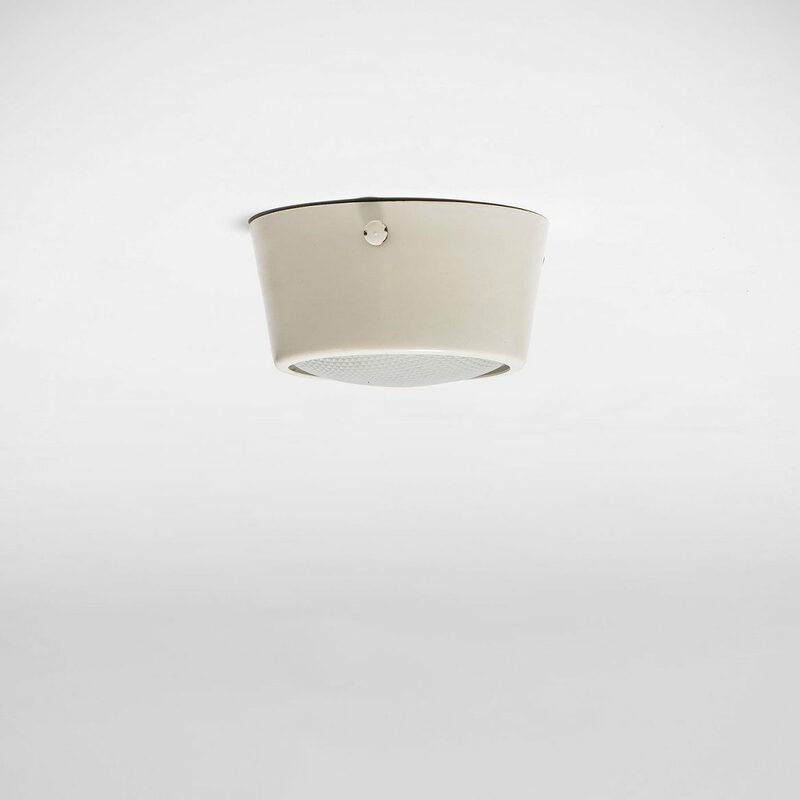 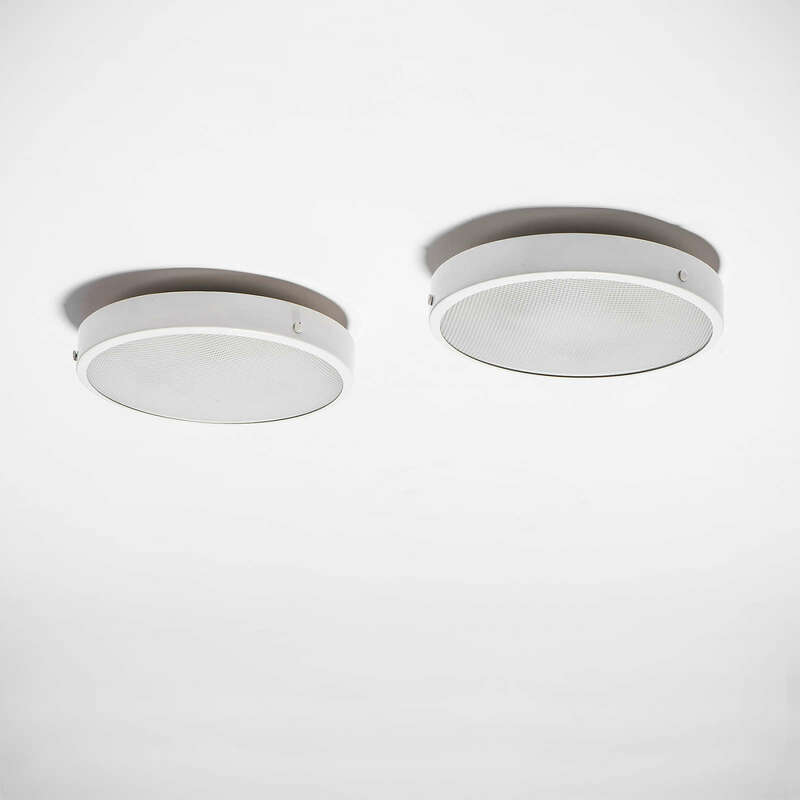 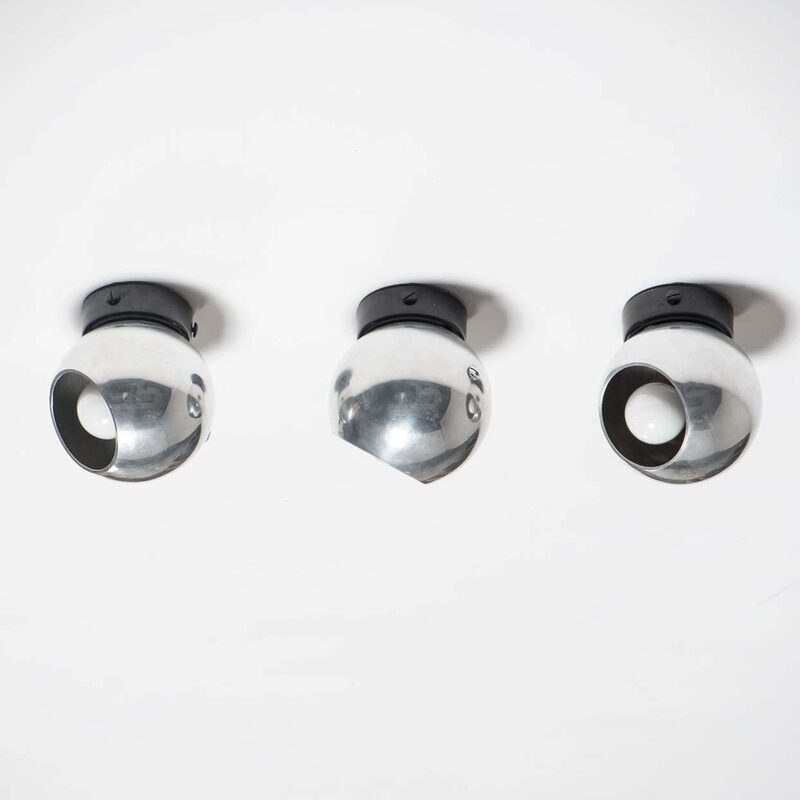 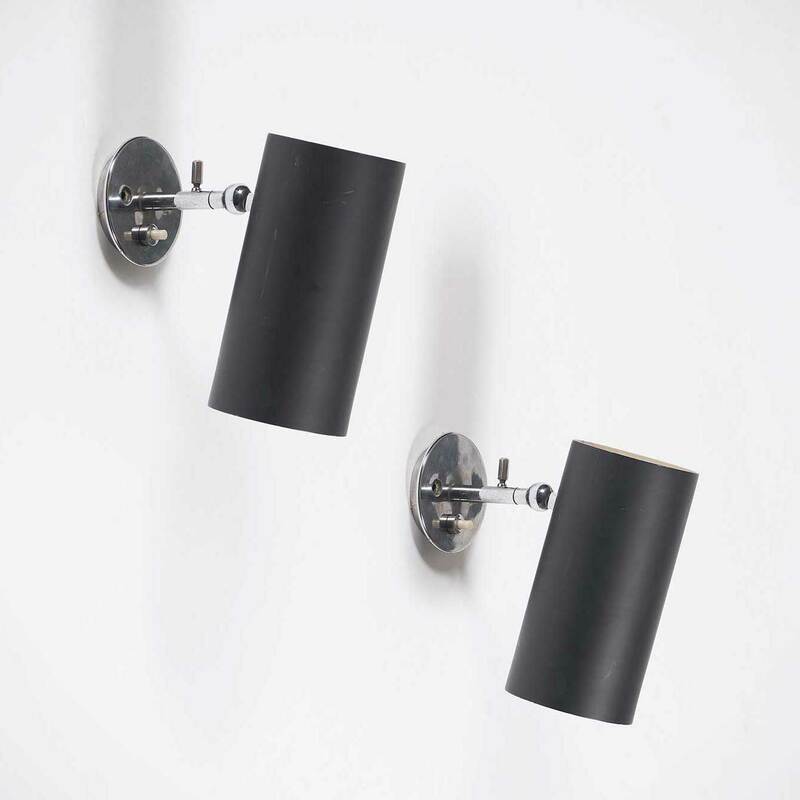 The company is now a world-renowned manufacturer of lighting systems. 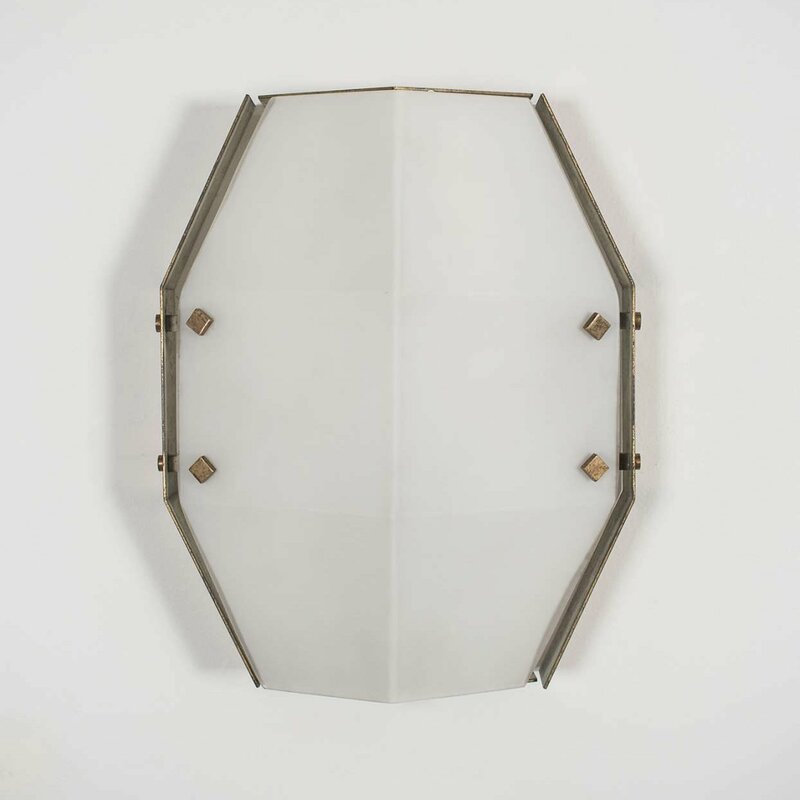 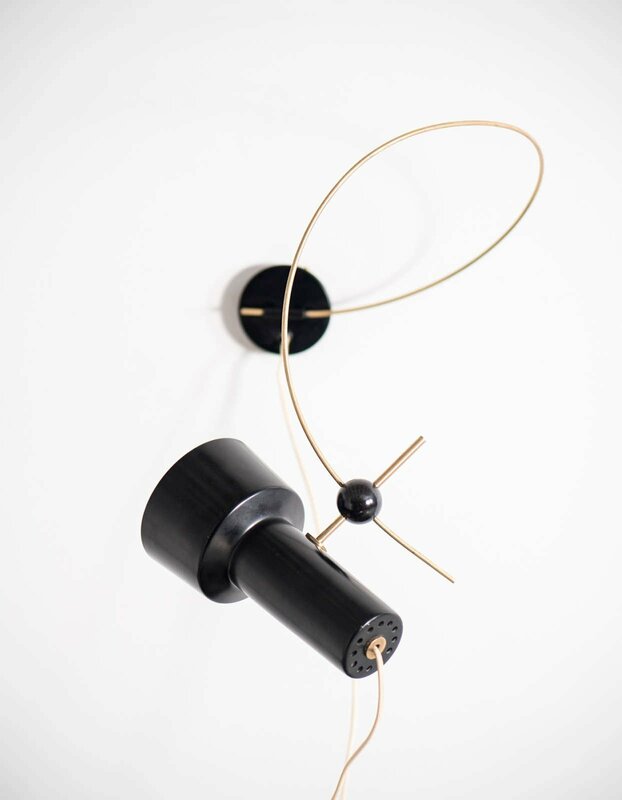 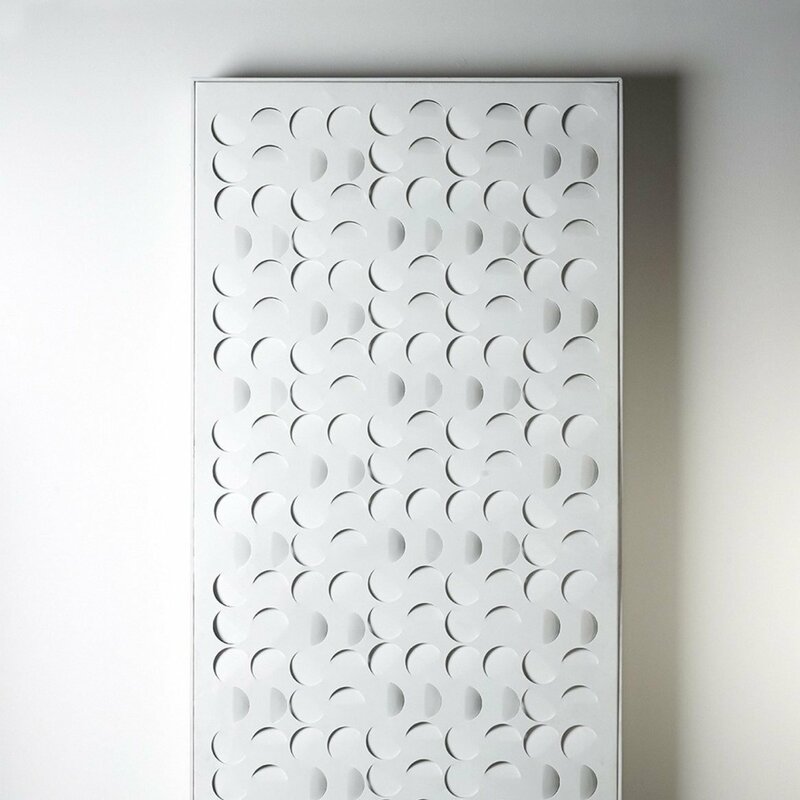 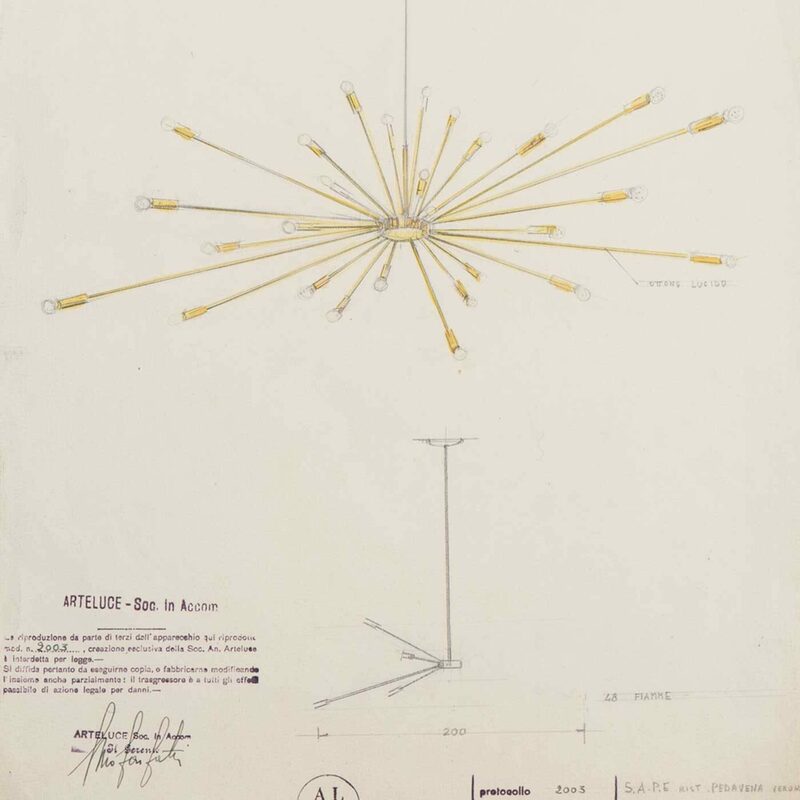 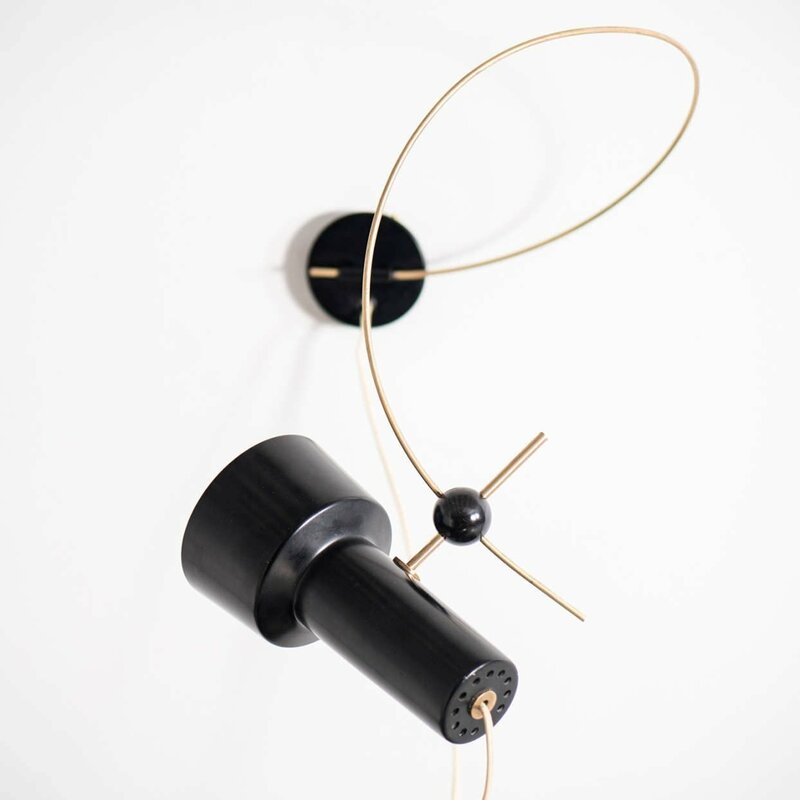 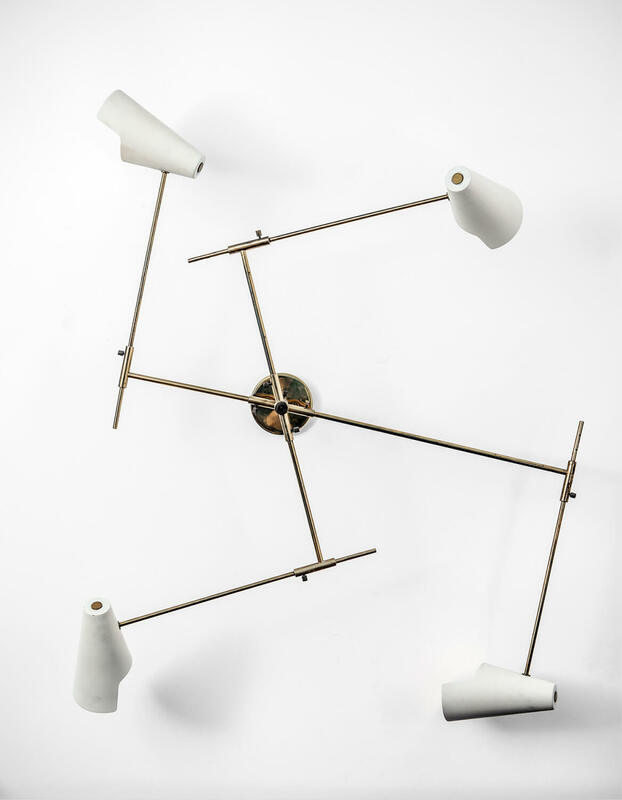 Taking his design sensibilities from what he saw as the simplicity of nature while also playing with new materials and geometry, Martinelli captivated audiences with his combination of streamlined geometry and radiant elegance. 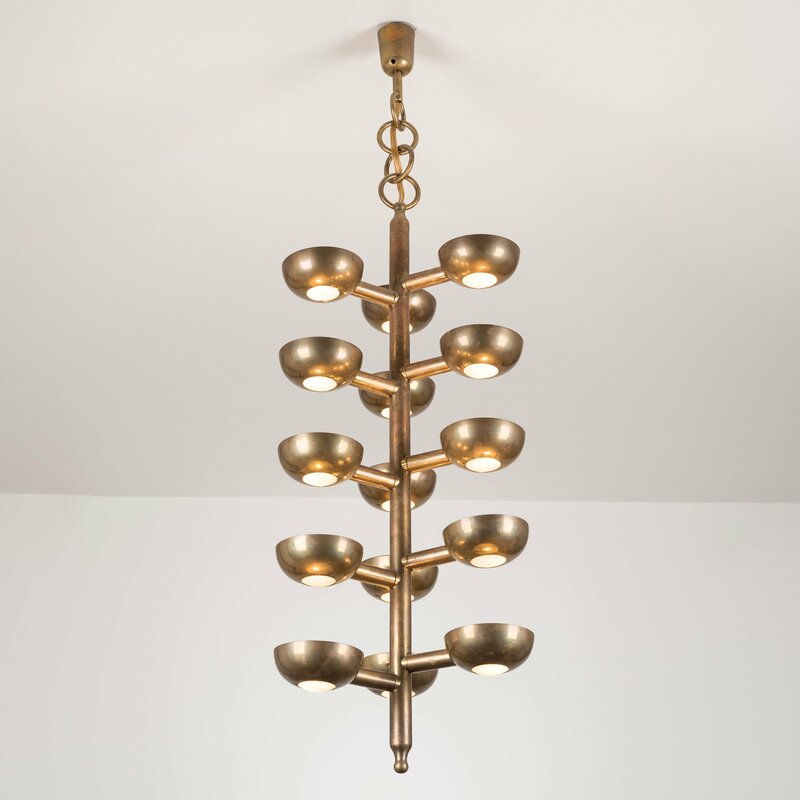 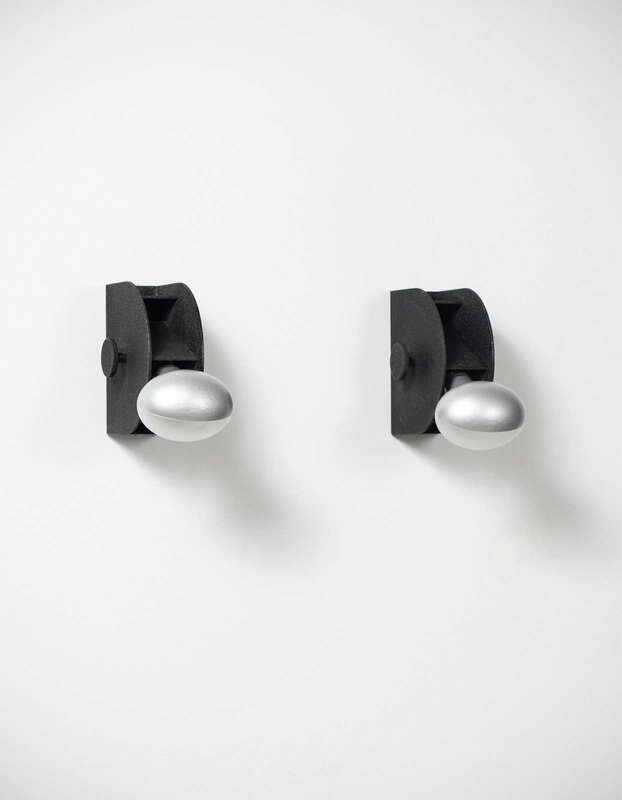 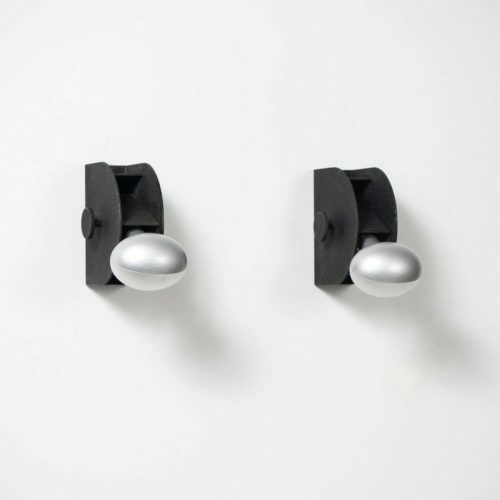 This combination elevated Martinelli’s fixtures to the status of enticing art objects rather than merely a functional means of illuminating a space, resulting in a body of work that attracted clients around the globe. 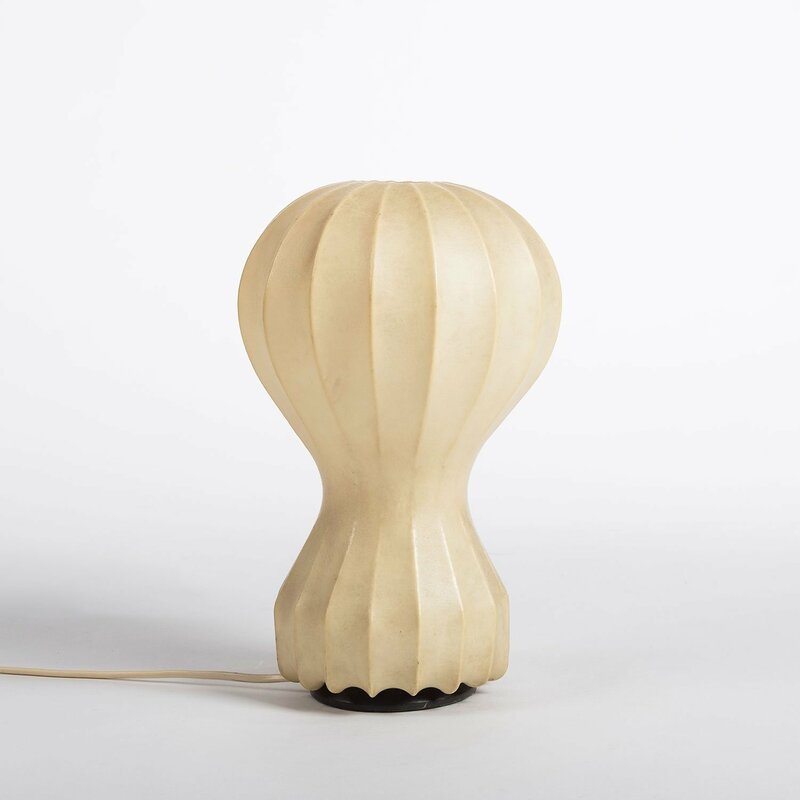 In 1966, Italian architect Gio Ponti invited Elio Martinelli to showcase his lamps at the inaugural Eurodomus exhibition, where he would return for the editions in 1968, 1970, and 1972. 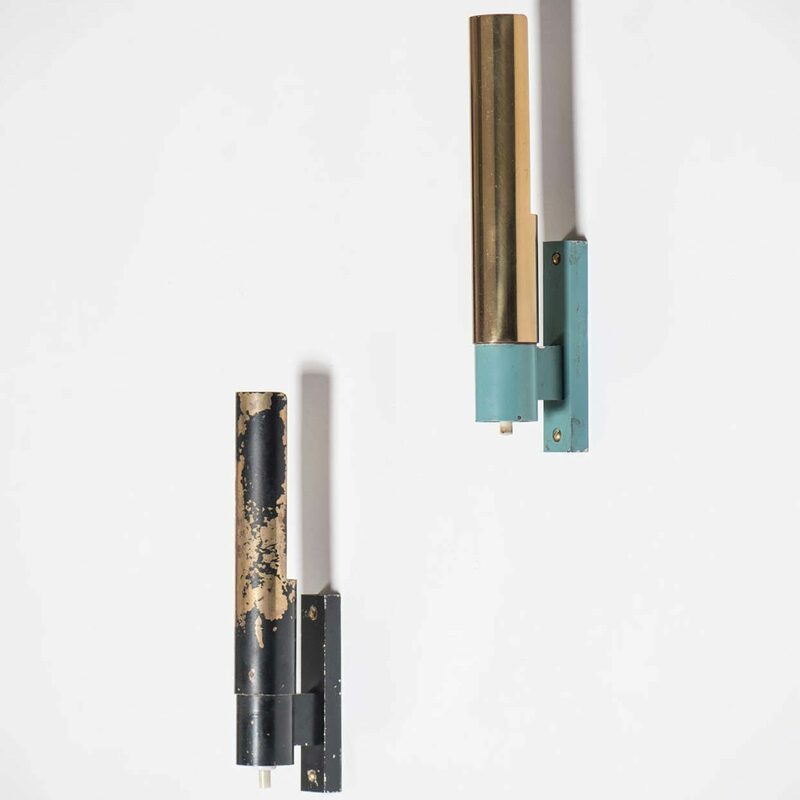 These showcases brought Martinelli’s designs to an even larger audience and increased the demand for his work throughout Europe and the United States. 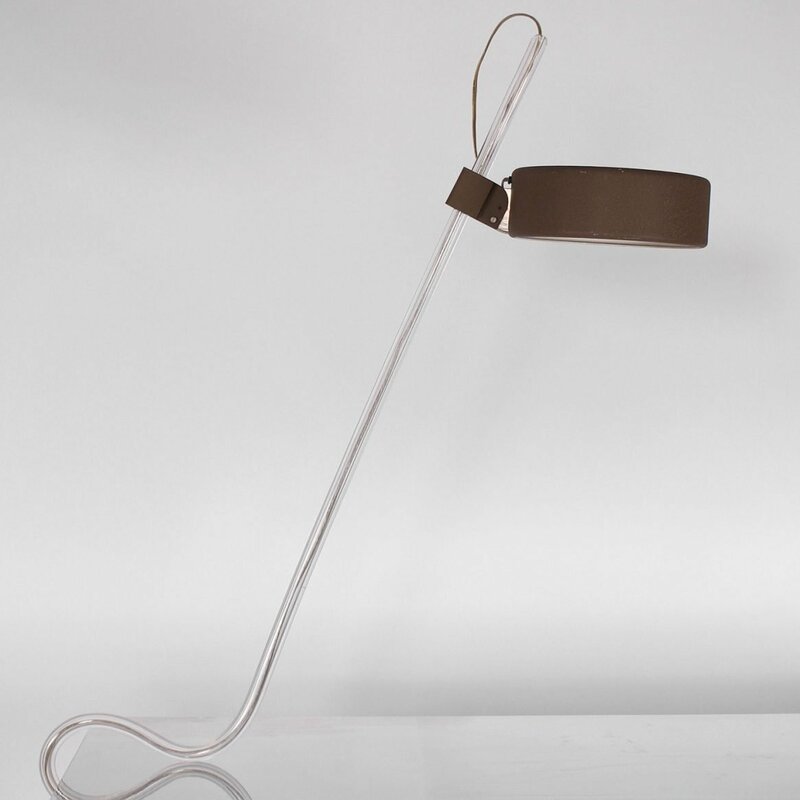 It was also during this decade that Martinelli created two of his most iconic creations, the Serpente lamp (1965) and the Cobra lamp (1968), both of which call upon the sinuous swerve of a snake to become the basis of sleek yet seductive desk lamps. 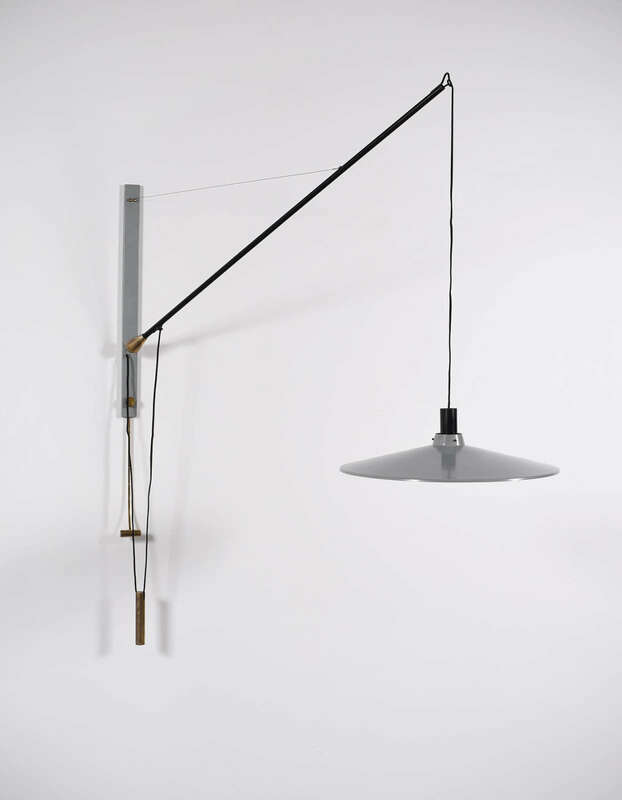 Part of the ongoing success of Martinelli’s work was due to his commitment to collaboration. 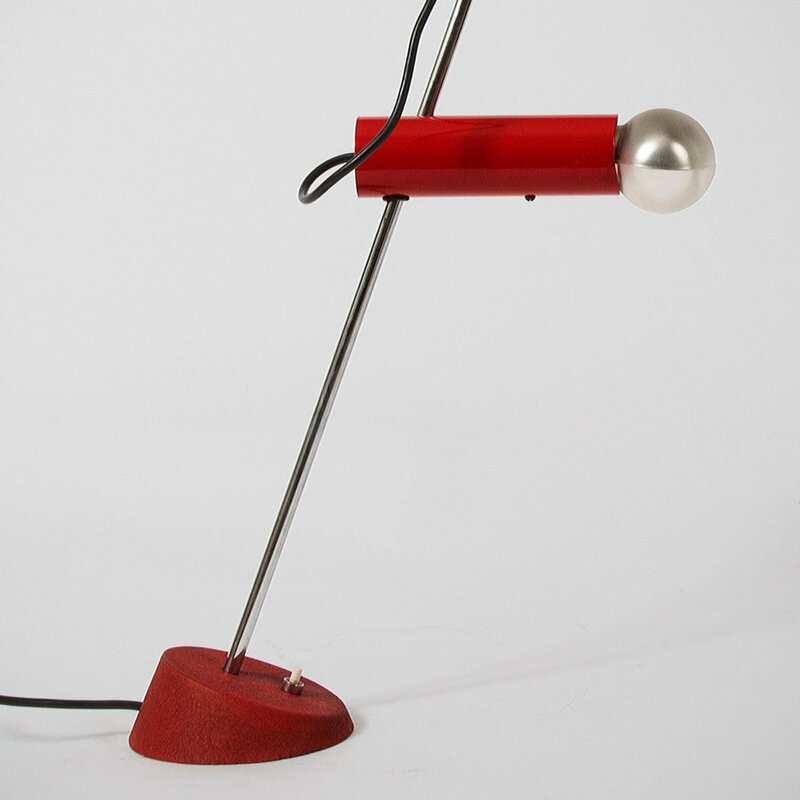 Over the second half of the 20th century, Martinelli invited a wide array of designers into his studio. 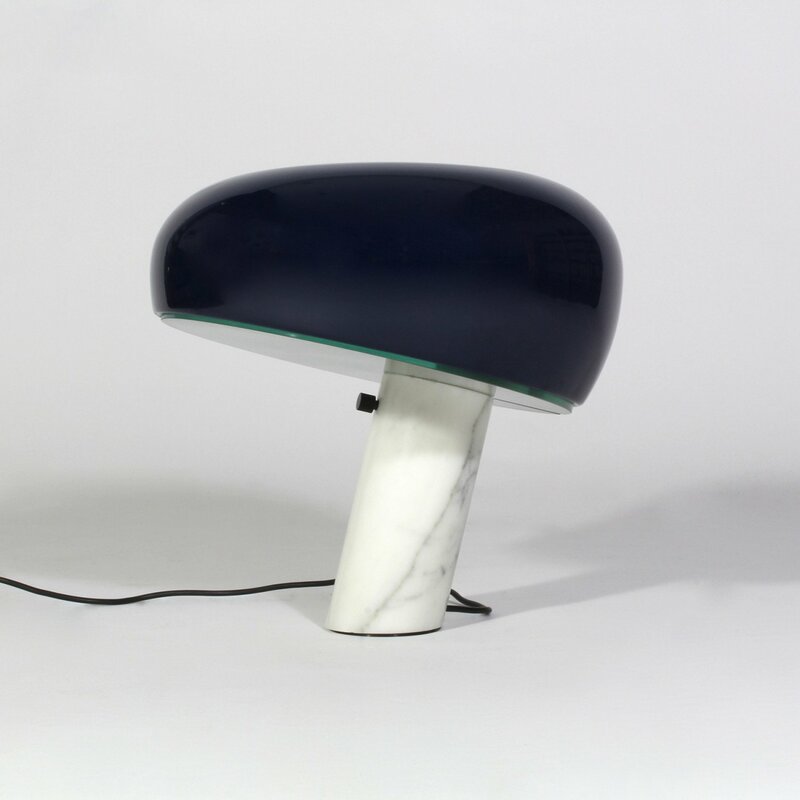 This illustrious group of alumni included figures from Gae Aulenti, who teamed up with Martinelli in 1966 to create the Pipistrello table lamp, and Brian Sironi, who designed the Elica lamp, which garnered the Martinelli Luce company the Compasso d’Oro Award in 2011. 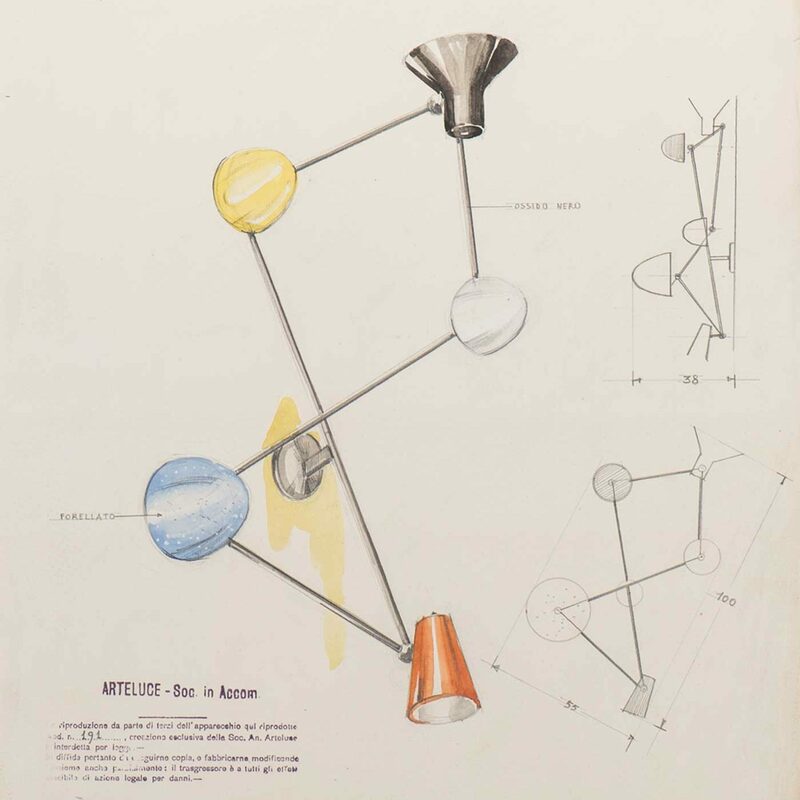 Other famous Elio Martinelli lamps that resulted from his willingness to experiment are Foglia, Bolla, Flex, Nuvole vagabonde, and Biconica. 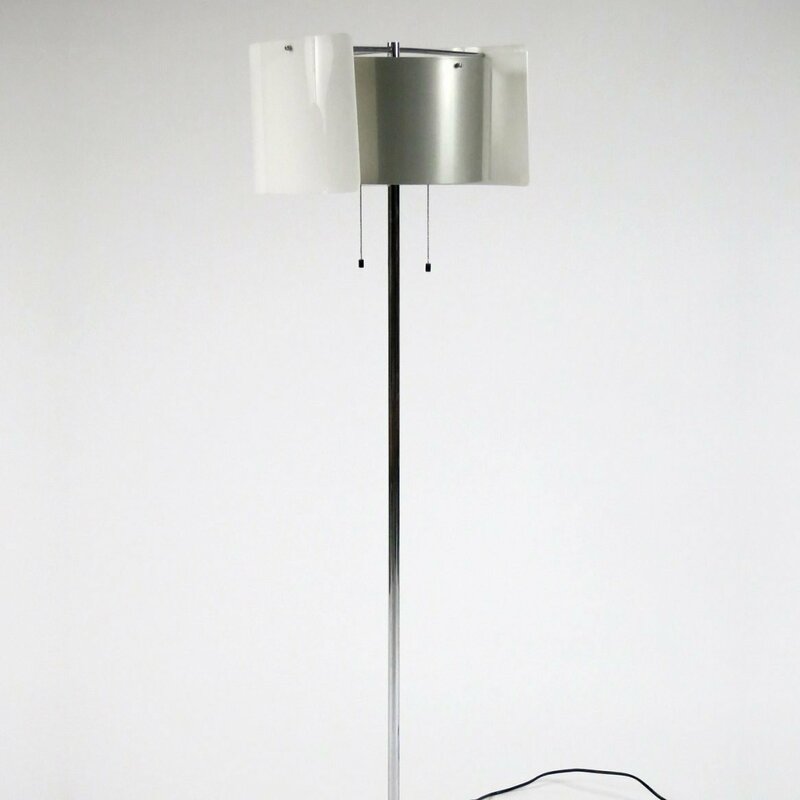 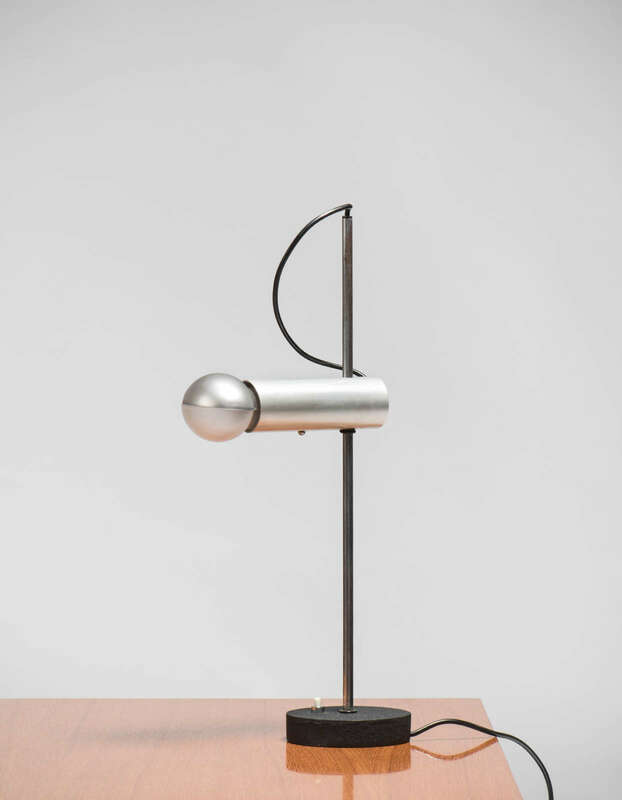 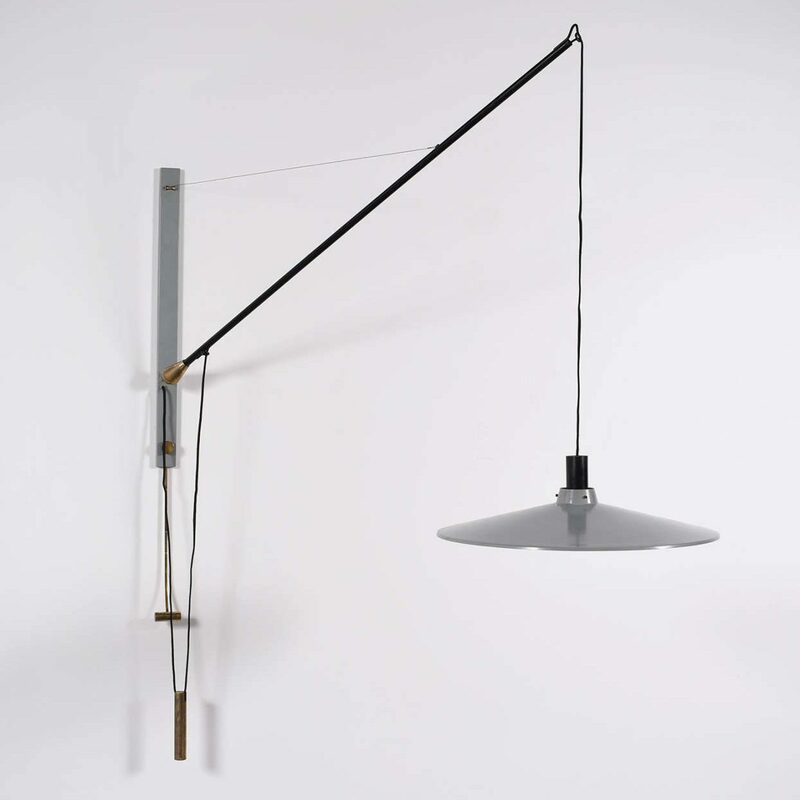 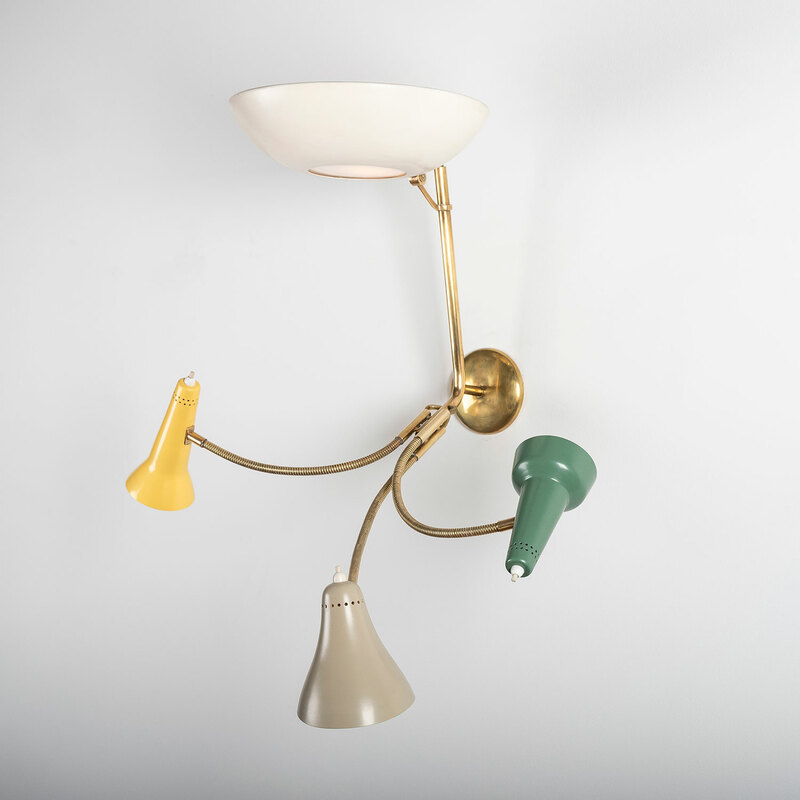 Other particularly “fun” lamp creations are the Rondini, Cavallo Pazzo, and Geronimo lamps. 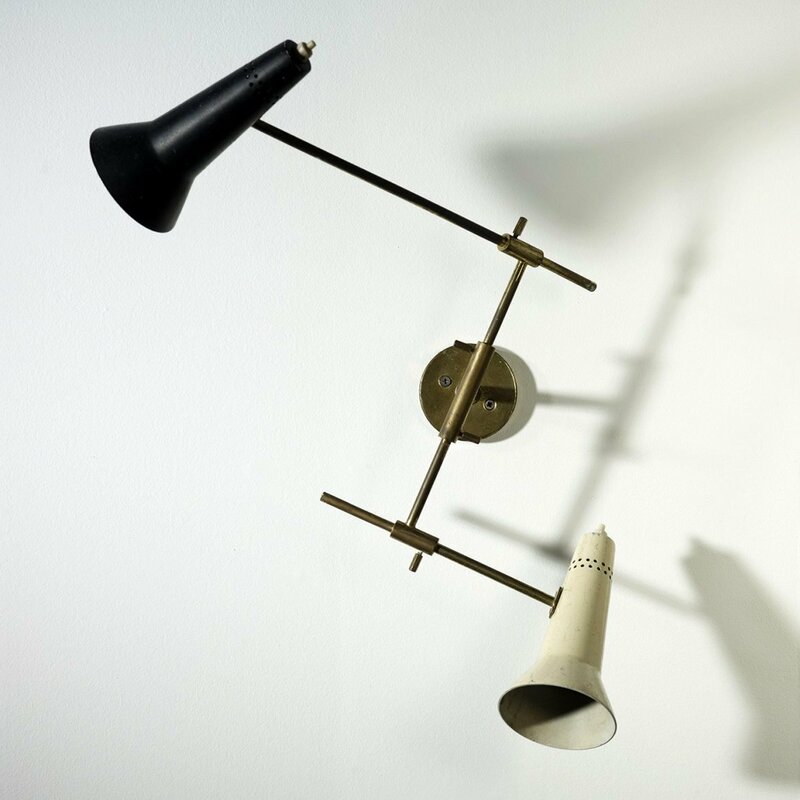 Today, the Metropolitan Museum of Art in New York City, the Museès des Art Decoratifs in Montreal, and the Philadelphia Museum of Art, among other museums, hold several Martinelli Luce models, recognizing his valuable and brilliant contribution to lighting design. 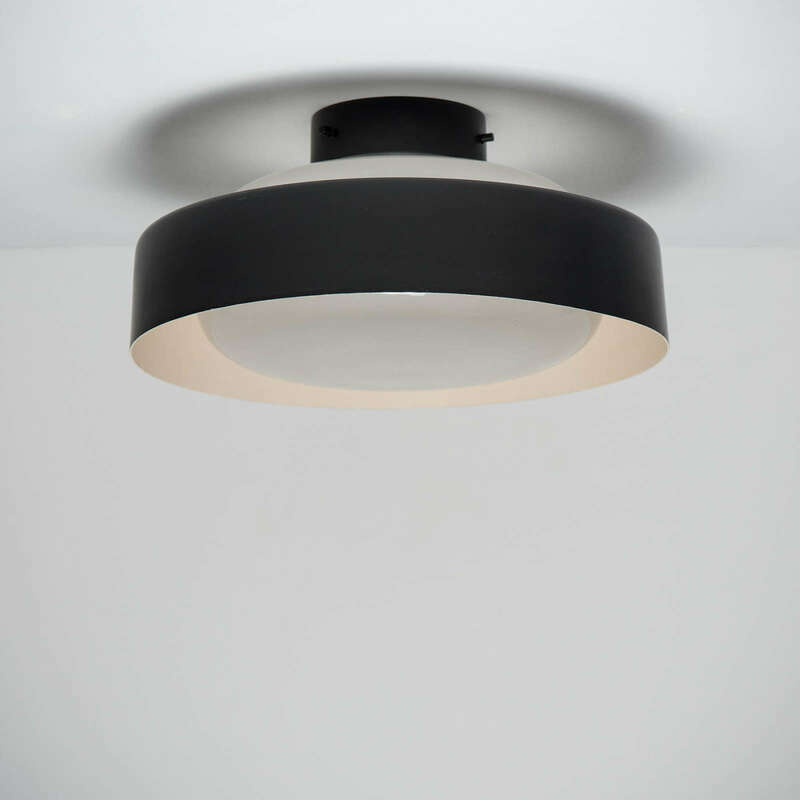 Martinelli died in 2004, but Martinelli Luce continues to carry on its mission to create compelling, contemporary lighting. 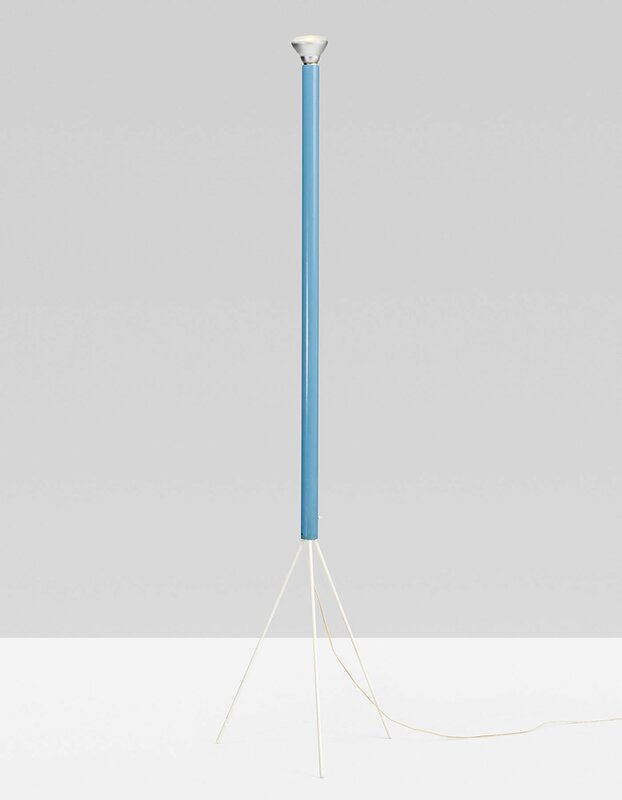 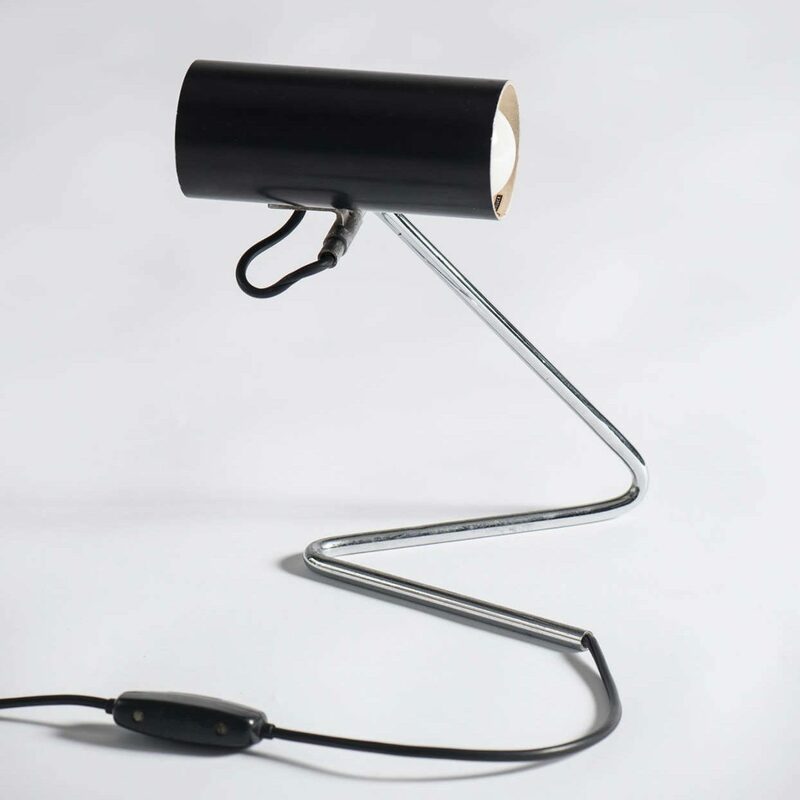 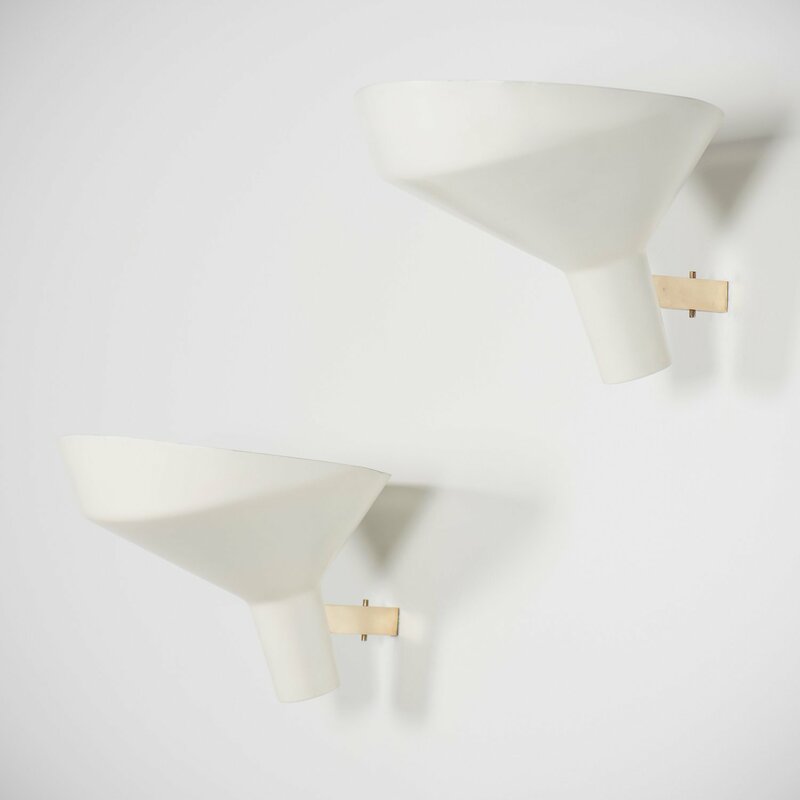 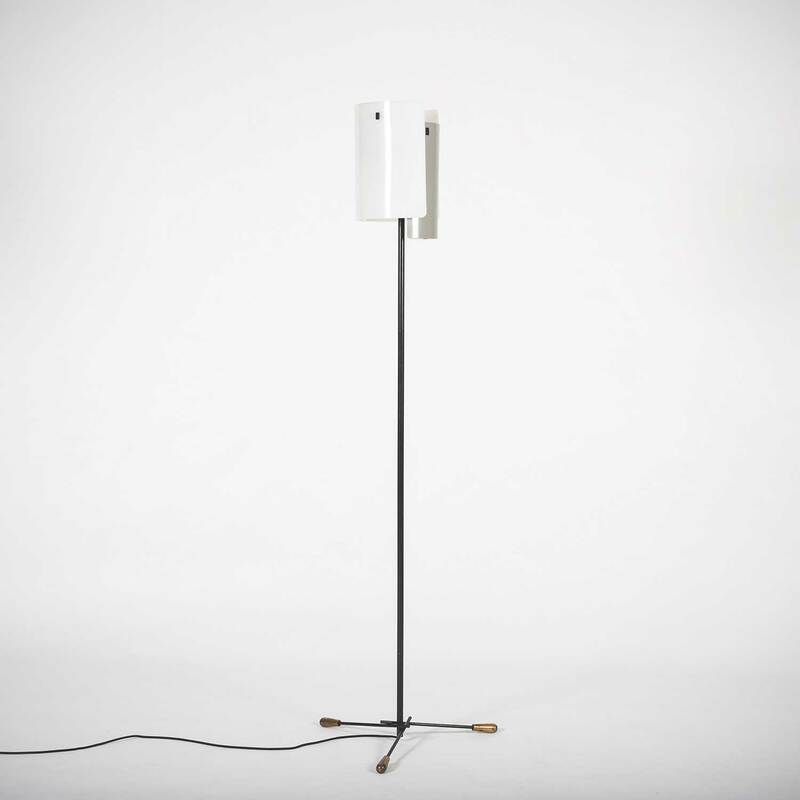 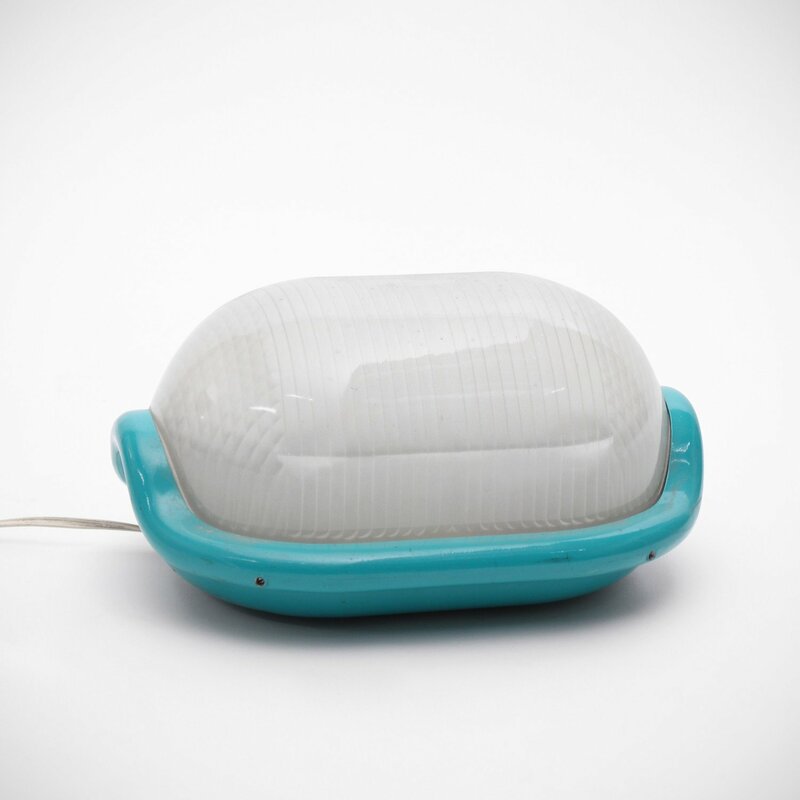 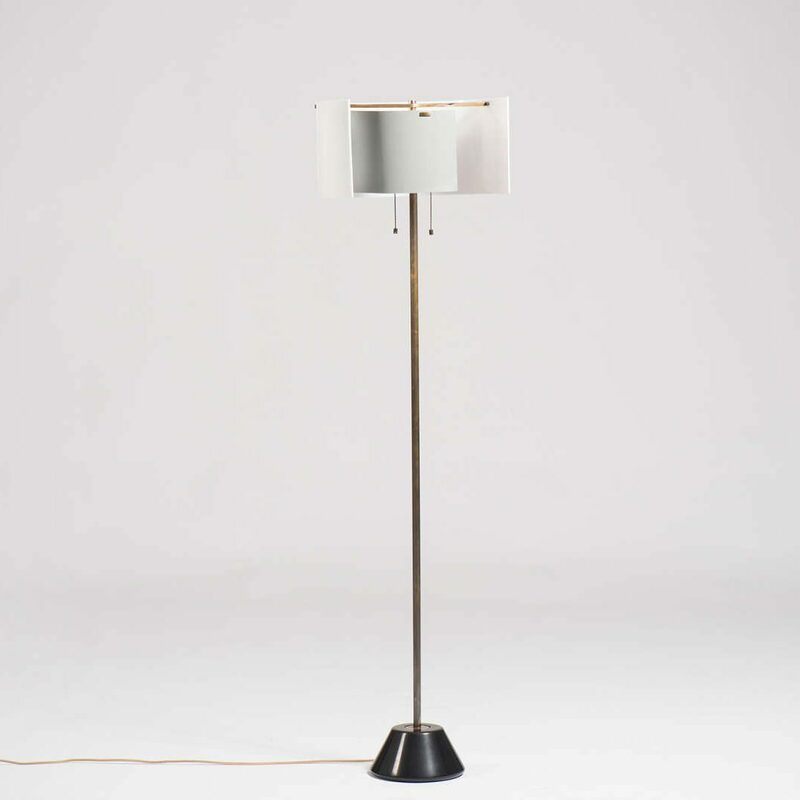 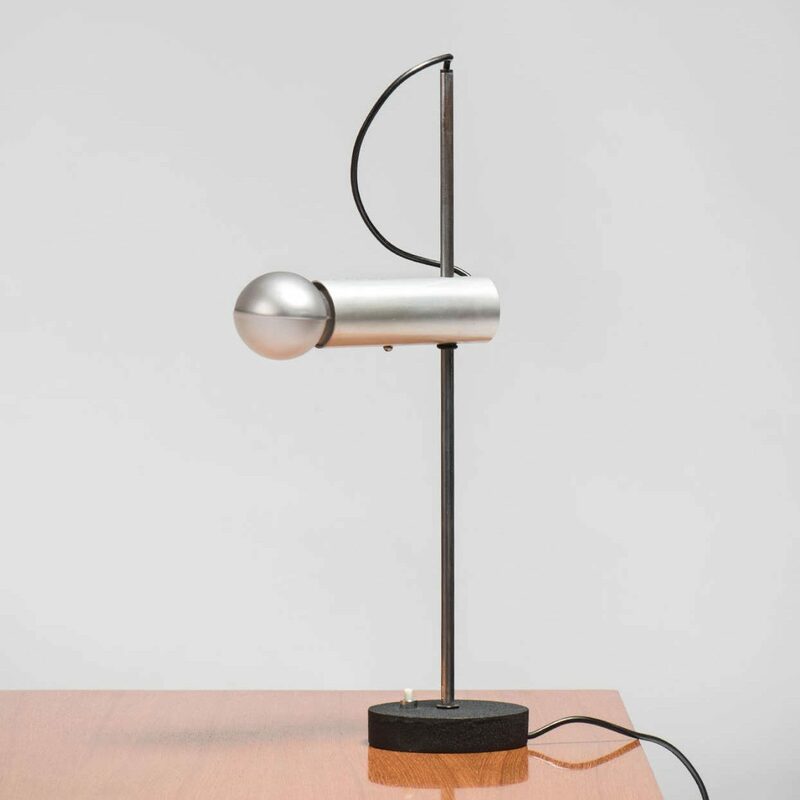 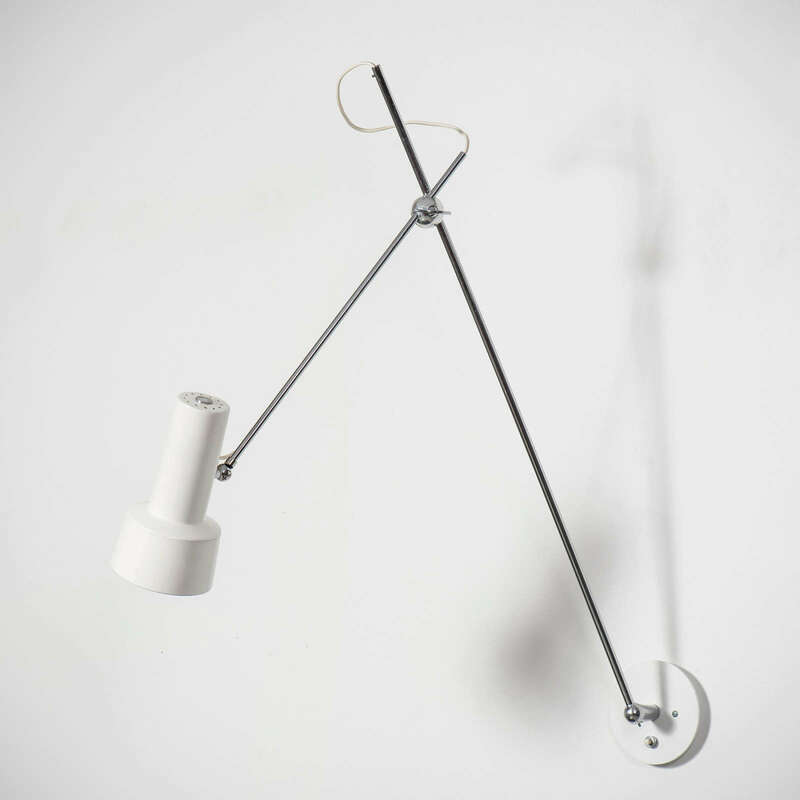 Testaments to this continued commitment is the Colibrì lamp, which was designed by Martinelli’s daughter, Emiliana, and achieved the iF Product Design Award in 2013. 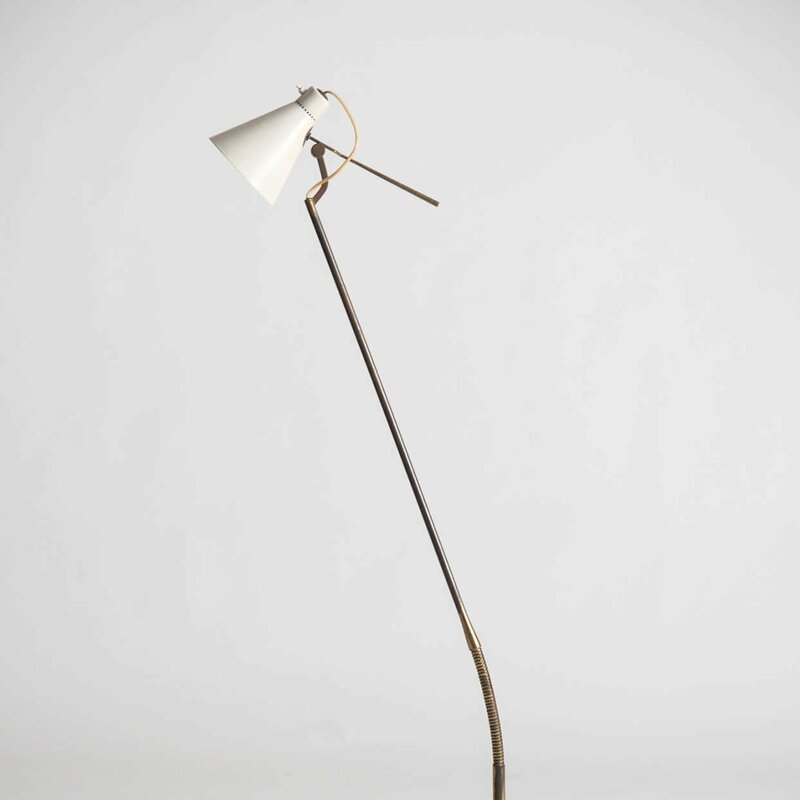 “Elio Martinelli.” Martinelli Luce SPA. 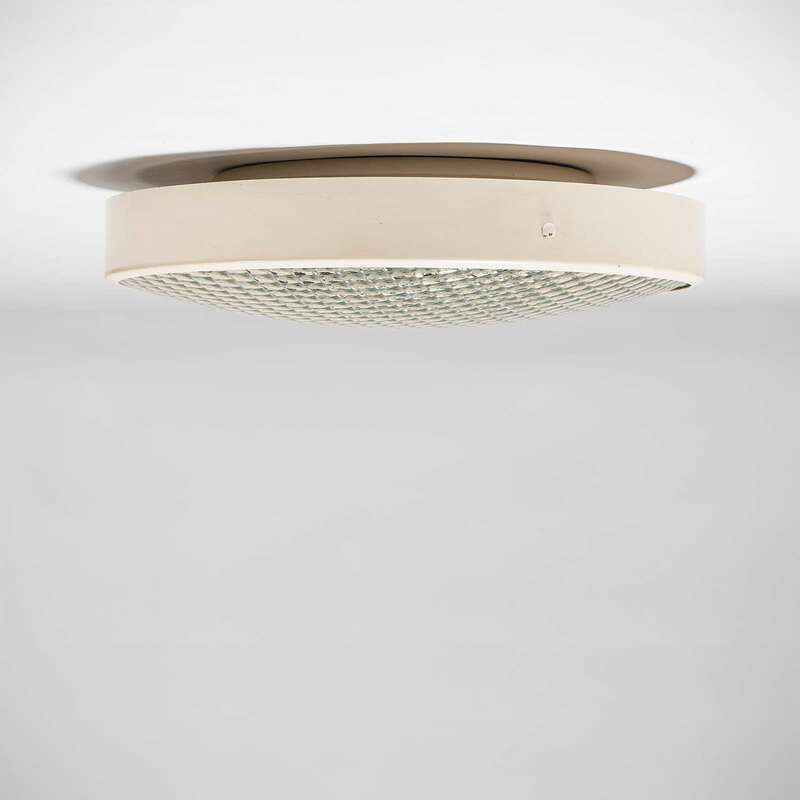 “Martinelli Luce SPA.” Martinelli Luce SPA.